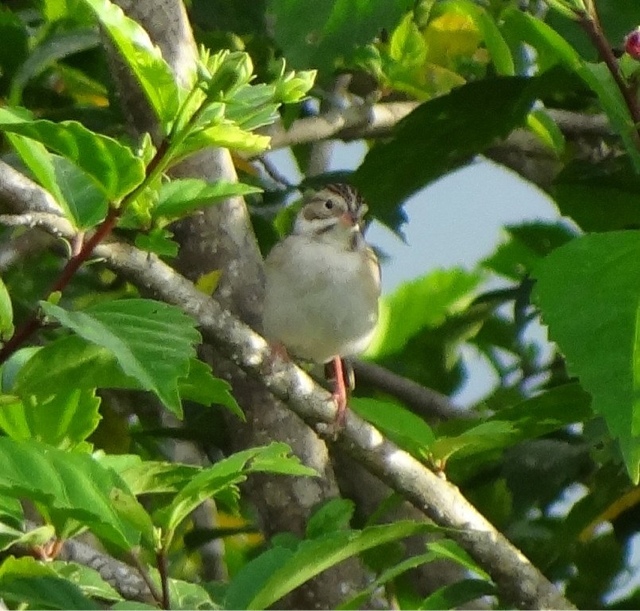 I found a Clay-colored Sparrow at Fort San Lorenzo on December 3, 2011. It isn't on the listed on the species list for I have for Panama and I'm not sure if one has been seen here before. I saw it at 4:52 p.m. in a Hibicus rosa-sinensis overlooking the Chagres River near the ruins of Fort San Lorenzo. I had my back to the ruins and it flew from behind me and into the Hibiscus. I got it in my binoculars and realized I needed some photos. I got four pretty bad shots and when I had the camera up, it flew off. I didn't see where it went and couldn't locate it again.